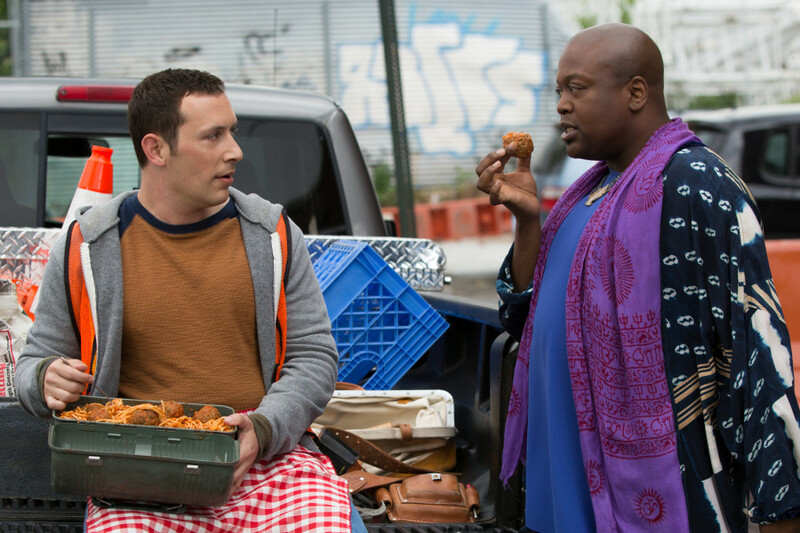 Netflix drops the final episodes for its absurd comedy, Unbreakable Kimmy Schmidt. Series finales are always tricky. Expectations are high and the final episode never fully satisfies everyone. Think of the most famous series finales ever, and you are reminded of swarms people who both love and loathe them. For a comedy series, I’ve always thought a series finale should assure its viewers that the characters would be all right. Netflix’s colorful and spastic series, Unbreakable Kimmy Schmidt, says goodbye this week, and it does its best to alleviate our stress of Kimmy being fully set free in the real world. Kimmy Schmidt has always had a whackadoo tone because of co-creators Tina Fey and Robert Carlock. This New York City is both real and totally absurd. You can simultaneously believe that characters like these exist while questioning if your upcoming trip to the Big Apple will be disrupted by such crazy weirdos. The show has always thrown jokes and gags at you at breakneck speed, and the writers have maintained that nutso tone all the way to the end. I was wondering how they would wrap up a show like Unbreakable Kimmy Schmidt in 6 episodes. The first half of this fourth season didn’t really let us know how the series would conclude, and, for the most part, neither do these new episodes. It’s not a criticism, but it does feel like the ending is pulled out right from under you. There is a hilarious take on the 1998 romantic comedy Sliding Doors where Kimmy and Titus see how their lives would have been if she hadn’t gotten kidnapped and he missed his bus to New York for his audition for The Lion King. If you are a musical theater fan at all, you will appreciate Titus’ participation in Andrew Lloyd Webber’s Cats. Kimmy gets as close to being in a throuple than she realizes when she hangs out covertly with a date’s parents (played by Mark Linn-Baker and Joanna Gleason), and the #MeToo movement is examined further when Ronan Farrow reaches out to Titus about his encounter with a horny puppet. When the finale does come, lovers of Kimmy Schmidt’s optimistic world will have to prepare themselves. Sometimes the show doesn’t always delve deep into how Kimmy’s perspective has been warped by her capture, but what’s charming and satisfying about this series is how it allows her to grow. I’ve personally thought that the show was’t as funny as it drifted further away from its apocalypse-fearing-fish-out-of-water setup, but I realize now how much this show cares about its central character. We may never see the complete outcome of Kimmy’s future, but the finale does comfort us that she is on a more focused and accepting path. Ellie Kemper’s smiling face is something that I will miss every season. The world is a garbage fire, yes, but Kimmy will take on everything in her path. If you watch some of the early episodes of this show, Kimmy says that she’s good at helping people–it’s something she likes doing. She’s fearless, and she gets a lovely ending. The final season of Unbreakable Kimmy Schmidt is streaming now on Netflix.